EvoS Journal – NEEPS 2015 Special Issue! | Welcome to the EvoS Consortium! EvoS Journal – NEEPS 2015 Special Issue! 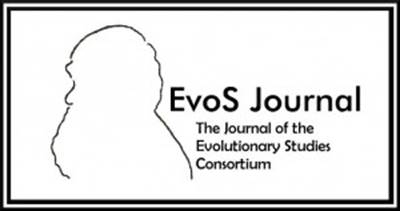 EvoS Journal: The Journal of the Evolutionary Studies Consortium, is proud to announce a special issue to highlight research on the evolutionary basis of human cognition and behavior presented at the NorthEastern Evolutionary Psychology Society 2015 Annual Conference. The editorial board encourages interested parties to consider submitting their projects for publication. An expression of interest in being involved. A title, abstract, list of authors and contact information for the primary author. Note that this issue will be primarily edited by EvoS Journal Associate Editor, Melvin Philip. The articles will be peer-reviewed and will be between 4,000 and 8,000 words – based on APA-style manuscript submissions. A full set of deadlines and further instructions will be disseminated to interested parties early in the summer of 2015.